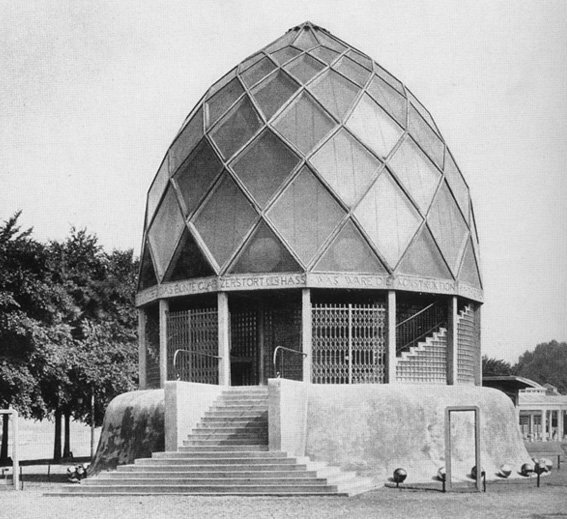 Taut was a prolific German architect, and was best know for his theoretical work and the brightly coloured prismatic dome of the Glass Pavilion built for the 1914 Cologne Werkbund Exhibition. 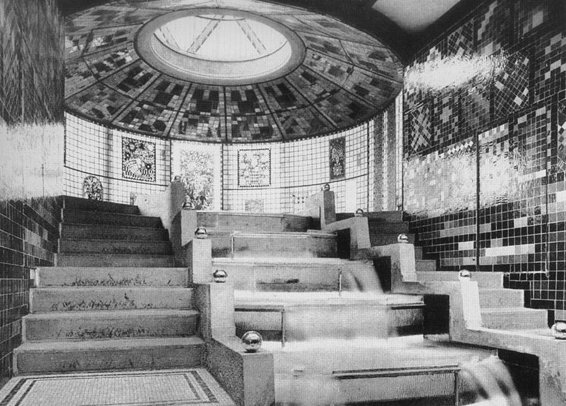 Working alongside Walter Gropius (founder of the Bauhaus school) Taut introduced the idea of the Gesamtkunstwerk, a Total artwork including elements of painting, sculpture, music to create an "all encompassing architecture". Taut was particularly famous because of his devotion to colour and glass. The Pavilion was accompanied by an essay written by Taut outlining the potential of different types of glass, and how the material might be used to orchestrate human emotions and assist in the construction of a spiritual utopia. "Coloured glass destroys hatred." and "Without a glass palace, life is a conviction". Scheerbart also went on to publish a range of books about Tauts work most notably 'The grey cloth'.